Revolutionaries have an extremely nasty habit of trying to rub out the past. The leaders of the French Revolution, for example, quickly disposed of the traditional calendar, replacing it with a brand new system that began with the Year 1. The idea was to purge France of all its old tainted ways, forging a new revolutionary society free of aristocratic privilege, titles, fashions and, of course, religion. Very quickly, everything old became suspect in France. One had a far better chance of surviving the Reign of Terror by embracing the new. The murderous Khmer Rouge regime in Cambodia took a page from the French revolutionaries. The Khmer Rouge leader, Pol Pot, set out to annihilate the country’s colonial past in a policy known as Year Zero. Pol Pot’s followers murdered vast numbers of intellectuals and teachers – the people who preserved Cambodian history and traditional culture. “We are building socialism without a model,” Pol Pot said. “We wish to do away with all vestiges of the past. I see a similar kind of thinking now threatening northeastern Pakistan. Taliban forces recently occupied the Swat Valley, an area with an incredibly rich Buddhist history. 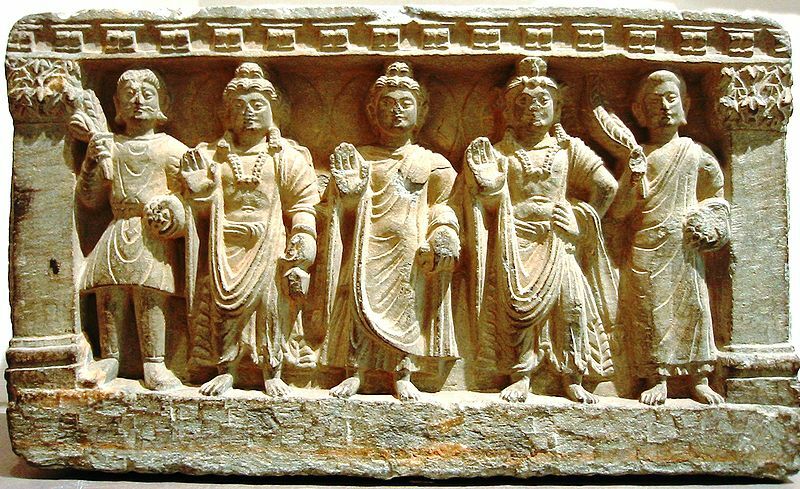 According to tradition, Buddha himself journeyed to Swat during his last reincarnation and preached to the local villagers. And by the 6th century A.D, Buddhist pilgrims from as far away as China flocked to the valley, a lush land of orchards and rushing mountain streams. One early Chinese account describes as many as 1400 Buddhist monasteries perched along the valley walls in the 7th century. Taliban forces want to eradicate this rich history. They have twice tried to blow up 7th century Buddhist relics, and one of their blasts badly damaged the museum in the main Swat town of Mingora. In a news story two days ago in The Himalaya Times, the museum’s director raised the prospect of much greater destruction now that foreign archaeologists and tourists have fled the region. Without international eyes on Swat, Taliban leaders could become emboldened to destroy the region’s great cultural treasures. I personally think the Taliban is a revolutionary force more than a religious one. They are all about political control. I sincerely hope the Pakistan government will do all it can to stop these dangerous men before they destroy the visible remains of Swat’s glorious past.